Human Resource is the always in a growing stage with respect to technical skills, cognitive behaviors or interactions. It is one gaunter that is powered by humans for managing humans. For this reason, HR professionals are always overlooked by people with a set of desirables. The HR professional is constantly evaluated in terms of his managerial skill, critical thinking, analytical ability, using artificial intelligence and most importantly his skill in problem resolving. Any HR professional, be it the newcomer or an experienced one, every organization that goes for an HR Manager or an HR professional demands a set of must-essentials for the successful and efficient business run. This blog cites few advice and tips for new HR professionals that should be carried along while entering their new career path. These set of advice and tips shall help the new HR professionals in conducting a successful and profit-oriented human resource management for their business. First and foremost one: Understanding your crew. As we said, Human Resource revolves around people. It is off the people eloquently for the people. Therefore the work of an HR starts rights from creating an empathic environment in the workplace. If the HR professional on board is new, it very essential that he remains grounded to people, understanding their work and other essential attributes. Getting closely acquainted with the employee helps the HR professional in enhancing the morality and productivity of the workforce. The close tie within HR will encourage the employee to open up their problems on time, lists their suggestions and in turn aid HR professional in building effective strategies to culminate the present challenges. Thus, this is an essential tip for a new HR professional that he always remain in close proximity with the employees, reading their milestones, checking their job role and work anniversaries, understanding their comforts and discomforts, strength and weakness and more. A sprinkle touch of personalization always soothe the relationship and eventually returns fruitful reaps. 2) Be a strategic manager. An unfocused and freestyle management never returns the desired result or the output. Carefree attitude of HR professional always leads of adversity in terms of business ROI and employee retention. Therefore, there demands strategic management of employee assuring effective employee engagement, realistic talent acquisition, innovation foresting, breaking of the regular cliché’s and last but not lease developing a collaborative and diversified work culture. As a new HR professional, developing a strategic framework helps in easy and quick goal accomplishment. A deep understanding of your job position and later connecting every strategic dots helps in achieving what you were destined for. Right from talent acquisition, the HR should remain strategic in action. He should understand what is the current need, how to fill the inadequacies and how to utilize them as better business assets. In today’s world, one can no more run away or escape from using the technology, as every sector is underlined and is powered by technological innovations. The same is with Human Resource. The HR sector also constantly get prone to technical effectiveness in order to stay tuned and abreast of the latest HR trends. Various studies have proved that the use of technology, immensely improves the efficiency and effectiveness of HR. Therefore as an HR professional, he should get well-acquainted with technologies to articulate his ideas, communicate to the right targets and reach millions. If a new HR professional educates himself on the extensiveness of the robust human resource information system or tracking of strategic business partners for the organization, he can vastly contribute to the growth of his business. He can create a sense of trust and contempt among his internal and external public. Incorporating an end-to-end human resource management tool can build a strong, trustworthy bond within the web of employees, stakeholders, business partners or clients. Being tech-savvy enhances the productivity of HR professional as everything gets automated and streamlined under his jurisdiction. 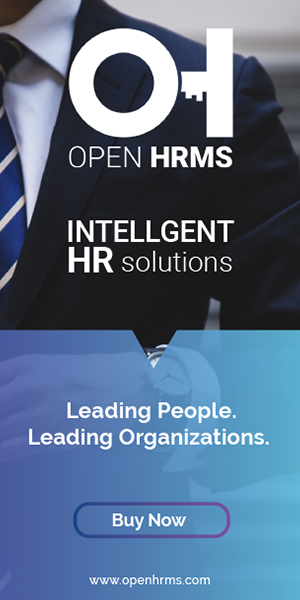 This significantly saves the time of HR professional to focus more fulfillment of company objectives rather than managing the administrative chaos. Consistently upgrading with the new set of skills, not only widens the knowledge horizon but also helps in enhancing the vision of life and work. If you are a new HR professional on board, make sure that you open a door for yourself to expertise in various disciplines matching your HR professionals. Several aids like e-learning, seminars, training courses can simply comprehend the HR profile with new attributions and credentials, creating a shadow of growth. This advice to remain exposed to different business verticals can be a good tip for the new HR professional to showcase effective and profit bearing HR management. 5) Expand your network horizon. One of the fastest and quickest ways to enhance one’s knowledge base is via getting acquainted with rich and knowledgeable people. And in business, building relationships with robust and self-sufficient people are very important. A strong network always paves the way for new possibilities like new partnerships, new talents, new ideas, new suggestions and more. Business connections with big players always turn rewarding in terms of insights and perspectives which eventually lay the foundation to the strong knowledge base and building strategic partnerships. HR professional acts as the face of the company and he should constantly thrive for building new connections that can come positive to the company in the future. The new HR professional can use social media platforms like Linked In, Twitter and Facebook to build strategic connections. Embracing role is nothing but keeping yourself well-organized and disciplined, good in communication and negotiations, the expert in multitasking and multiple focusing, efficient in managing compliance, and last but not least a good mediator to transact various business functions. An HR professional should have all the above-said skills and well-versed in each category. The right blend of these skills and their strategic application on specific issue underlines the smooth functioning of human resource in an organization. If you are a new HR professional or have a mindset to develop an HR career for future, it best recommended that you take in the store the above-voiced advice for addressing the best management from your end.